Metal Technology Solutions of St. Charles, Illinois. "One of the benefits we did not anticipate was the ability to continue to enhance and add functionality to the system. Enhancements are usually designed, developed, tested, and implemented in one day." 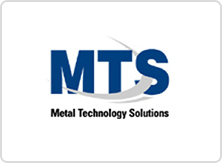 Metal Technology Solutions (MTS) of St. Charles, IL, is a manufacturing organization delivering precision-oriented metal components and assemblies. They are located in various sites throughout the United States and their products service a wide variety of markets. Commercial Metal Forming, an MTS company, located in Youngstown, OH, is currently using WOW for their web application developement. MTS runs their business on IBM's iSeries (AS/400) hardware and uses Infor XA (formerly MAPICS™) software. Due to labor union rules and other factors, MTS had a need to customize and extend the base shop floor functionality provided by XA. Specifically, MTS had the need to provide manufacturing shop floor managers with a data collection system to track and manage employee job assignments, manufacturing orders, and production results. MTS used PlanetJ's WOW 6.3 Enterprise Edition to solve these problems quickly. The solution involved the creation of state of the art, graphical, internet browser based WOW applications, interfaced into the XA database. 1) Job Sequencing – Production schedulers are able to sequence manufacturing order operations at each work center based on specific scheduling criteria. 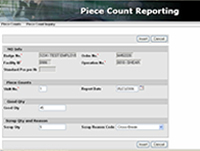 The sequenced operations are interfaced to the Employee/Crew Assignment application, allowing shop floor managers to assign employees to those operations in sequence. 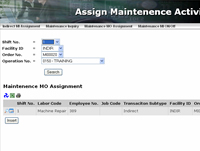 2) Employee/Crew Assignment – Shop floor managers are able to enter employee assignments based on their union job codes. There may be a varying number of metal presses running manufacturing order operations based on these job assignments, with any number of employees/crews working under different job assignments, with any number of employees/crews working under different job codes (pay scale). Once a manager "assigns" an employee or a crew to a job and work has begun, this WOW application allows floor managers/operators to log time as "on". If an employee or a crew leaves the assignment, they can then be logged "off". Direct (run and setup) and indirect hours are captured. 3) Piece Count – Employees enter pieces produced. Transactions post production against manufacturing order operations and, using database triggers on the iSeries, updates the raw material and finished goods inventories. 4) Transaction Flow – Shop floor transactions captured with the WOW powered applications flow through to the XA database utilizing standard Infor interfaces. WOW captures the time along with the employee labor codes. Edited transactions are used for statistical production reporting and ultimately to generate payroll information. 1)	MTS installed WOW 6.3 Enterprise and had their first prototype operational within 10 minutes. 2)	MTS developer, Sam Delaquila attended the 16 hour "Introduction to WOW" class remotely via the Internet and PlanetJ's remote teaching facilities. This allowed Sam to understand advanced features of WOW at a very low cost without the need to travel. 3) Sam and others developed all applications in a matter of a few weeks. 4)	These applications are now running 24 x 7 in a production environment. 5)	More WOW powered applications are in the works. 1)	Ability to create highly functional iSeries internet browser based applications integrating with Infor XA. 3) Ability to quickly extend and enhance Infor XA functionality. 4)	Since the applications are internet browser based, able to utilize thin-client hardware solutions in the shop. As stated by Sam Delaquila of MTS, "The WOW system has been running great and stable in our production environment. We were able to create the shop floor system very quickly. One of the benefits we did not anticipate was the ability to continue to enhance and add functionality to the system. Enhancements are usually designed, developed, tested, and implemented in one day. We didn't need an in-depth knowledge of Java and HTML when we started. Since we come from an iSeries background, as we learn more about Java and HTML, we are really starting to see the power WOW."